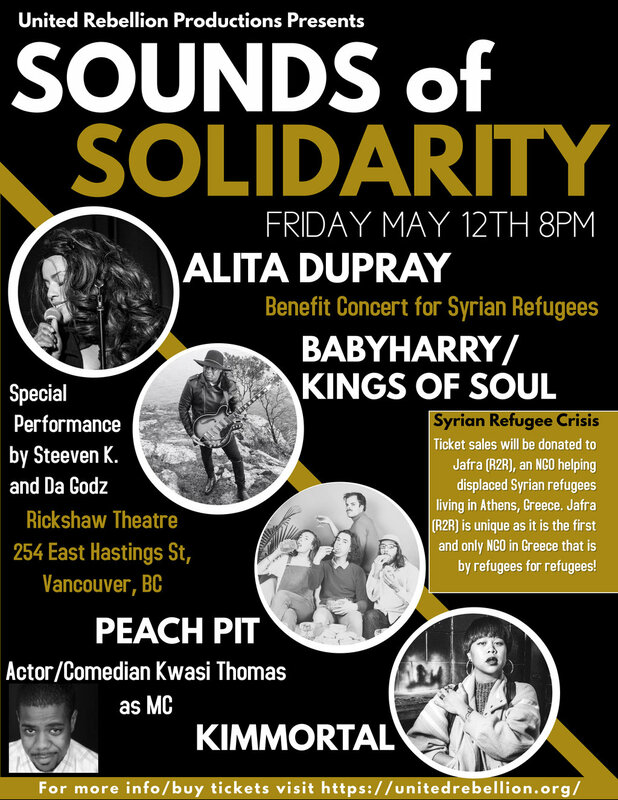 Sounds of Solidarity benefit concert is showcasing some of Vancouver's finest and most eclectic talent with performances by Alita Dupray, BabyHarry/Kings of Soul, Peach Pit, Kimmortal, Steeven K. And Da Godz and actor/comedian Kwasi Thomas as MC. Tickets sales will be donated to help Jafra (R2R) the FIRST and ONLY NGO in Greece by refugees for refugees. 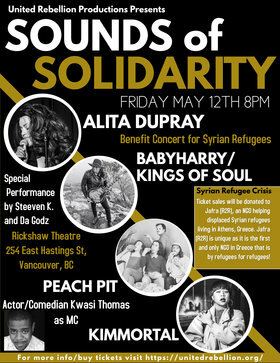 Spend the night in solidarity and show your support for displaced Syrian refugees by purchasing your tickets TODAY by donation of ONLY $15.00 online or $20.00 at the door!